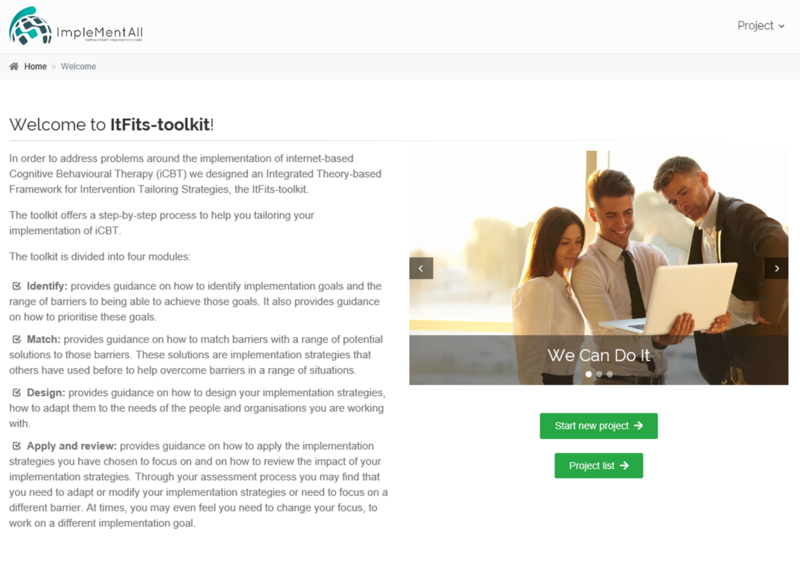 The ItFits-toolkit: "It makes all the difference"
The ItFits-toolkit, the main outcome of IMA, has already entered its final trial stage in some of our sites. We talked to Alani from our Hawaiian trial site, one of two sites to be the first users of the toolkit, to find out how it is working in practice and what the trial site think of it. We’re happy to report that this is a success-story, and quite a nice read for anyone interested in our project. Please note that this news has been anonymised. Alani is not the respondent’s real name and she is not from Hawaii. We arranged a meeting with Principal Investigator of the Hawaiian trial site, Alani, to hear how the trial is going and what she thinks of the ItFits-toolkit. Entering the meeting a bit anxious and unsure of how the toolkit is performing, we were somewhat unprepared for what became a heart-warming experience as Alani kept singing the praises of the ItFits-toolkit. The first thing Alani said about working with the toolkit, was how the whole Implementation Core Team has found the specific project, they have chosen for the ItFits-toolkit, very intriguing to work with. More precisely, the team has found it truly interesting to experience how they can use the toolkit to detect a modification, which might take some time, but once it is implemented helps them save even more time. We, in the coordination team, love to hear this, because it means that what we are doing, what we are working for in IMA, actually makes a difference to the people it affects. Alani said, “I don’t think we would have gotten these ideas, or worked on these projects, if we hadn’t used the toolkit,” and that is exactly what the project is working to achieve. It is a fact that implementation in the healthcare sector is often an uphill battle, which is evident because the staff at the clinic work to meet the goals set for them, and when they are told to set aside time to do implementation work, they often dismiss it to ensure that they spend their time on clinical work and reaching their goals. However, Alani pointed out that the clinical work can turn out to be more efficient if they implement a tool to support them in their work, and that is what the ItFits-toolkit is for. Alani has experienced that the clinicians “have realised that what we [the implementation core team] have chosen to work with will ensure that it will be easier for us [the clinicians] to achieve the goals that form the basis for the national roll-out of iCBT.” Becoming this helping hand to the clinicians has been one of the goals for IMA to reach from the get go, and to learn that we have succeeded so far is a huge recognition of our work. Moving beyond ImpleMentAll, Alani also mentions that they have included the toolkit in another application for a future project, in which a full work package will work with implementation using the ItFits-toolkit. Thus, before any results are available, the toolkit has ensured its lifespan and relevance beyond ImpleMentAll. Furthermore, the implementation core team intends to operationalise the toolkit in the future and they have considered using it in other projects as well. However, not having progressed further than idea stage, only time will tell how these unfold. Needless to say, we walked away from the meeting thrilled with the new information. Now, we just cannot wait to experience how the rest of the trials unfold, because it seems that there are no limits to what our ItFits-toolkit can do.